The world’s current climate change is likely to result in an ever increasing risk of flooding for many UK properties. If you are in an area at risk, taking action now could reduce the potential impact flooding may have. Resistance and resilience are the proactive approaches recommended by The Environmental Agency, resistance to reduce the level of water that can enter the property in the first place and resilience to lessen the damage caused. Silicone based render is hydrophobic, effectively creating a layer of water repellence and can be applied to external walls of a property to improve water resistance. Sealing floors and walls just above flood level prevents entry of water into the building. Changing existing air bricks to a special flood prevention design that has an automatic closing device can increase flood resistance. Non return valves automatically close when water or sewage flows back through them during a flood and can reduce the amount damage caused in a property internally. 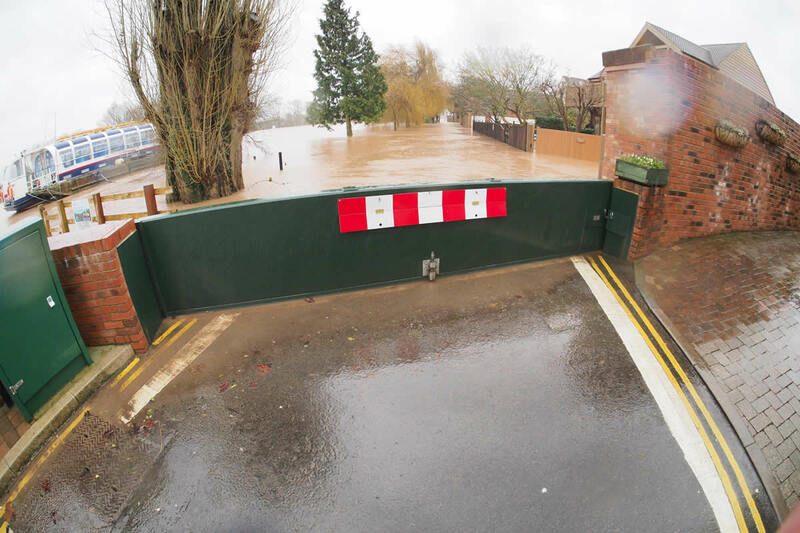 Larger openings such as doors and windows can be protected using flood barriers. These may only keep water out for a limited period of time, depending on the water level, but can provide extra valuable time for the property at risk from flash flooding. Keeping a supply of modern water absorbent sandbags on standby can be used to create an instant barrier which will soak up water. Some floor coverings like tiles and solid wood are affected less by flood water than laminate flooring or carpeting. When selecting fixtures and fittings, choosing products made from MDF and plasterboard which have low durability to floodwater, is not as advisable as choosing products made from solid wood, steel and plastic which are more hardwearing and water resilient heightening their chances of flood survivability. Raising electrical sockets, fuse boxes and electrical devices at least 1.5 metres above the floor can put them at less risk should flooding occur. Lastly, installing a water sensor can provide a much appreciated early warning sign to potential attack on your property from flood water.